“helena ji, nobody’s looking, come quickly, have another jalebi!” khushi thrust a crisp orange jalebi at helena and stood in front of the elephant, holding up her pale pink dupatta so a passerby wouldn’t notice what helena was up to. it didn’t occur to khushi even for a moment that her slight frame and translucent dupatta might not quite accomplish the task of “hiding” helena. helena finished her jalebi and nudged khushi with a playful trunk. “no more! nahiiin, not good for you… you can’t become too fat, helena ji! aap aise hi bahut sundar dikhte hain!” khushi said with a stern air and nearly jumped when she felt something touch her back. “aur main?” said a soft voice by her right ear. she shivered and squealed at the same time. “badsurat, behuda, bhayanak!” khushi hissed and made a face, her arms flailed about as she tried to squirm out of his embrace. he held her easily and turned her around. “is that right, so what were you doing kissing me in front of the whole world last night… ” he laughed and brought her up tighter against him. “arnav ji! koi dekh lega” khushi stamped her foot. his hands moved gently over her back. her knees felt crumbly, like babuji’s balushahi when they’re freshly fried and hot. yes, hot… there was something searing inside her knees… she sighed helplessly and leaned forward, her face turning up. her lips knew where they had to go, what they looked for. she felt his breath on her upper lip, her nose, a slight sound as he seemed to catch his breath and then she was kissing him. it was a cool light morning in margarita. dew drops still glistened on the leaves, the grass was wet. shades of green spread around for miles, the sky was vast and blue. asr picked his wife up in his arms and casually walked over to the house. she clutched him tight as she kissed him. there was a faint aroma of jalebi in her kiss. “tazdiq, it was great meeting you and thank you for your hospitality,” asr stood outside in the verandah speaking to salman’s father on the phone. they were leaving that afternoon around two o’clock, straight after lunch. “do give my regards to rehana… of course, of course…! yes, khushi will drop in and take her leave, i just want to wrap up some work… okay, all the best, and thanks again!” he disconnected the phone and sat down with his laptop. he had just had a bath, his hair gleamed and clung to his scalp. he was wearing a white linen shirt under his charcoal grey waistcoat with light wool trousers in the same colour. a pale olive tie was slung around his neck. he looked at the screen with a frown, knotting his tie absentmindedly. aman was still not being able to get him some time in march… he needed to come back to assam, dammit. the phone rang. he reached for it without taking his eyes off the screen. “yes!” he said in a crisp curt tone, the call was from a private number. it was almost ten in the morning, the sun was up and bright, but perhaps even otherwise the onlooker might have seen the chill enter sharp brown eyes, the irises glinted for an instant and went cold, opaque. arnav singh raizada sat up, his shoulders braced, his lips pursed and a hooded, menacing look began to enter his eyes. “arnav ji, hum aate hain!” khushi poked her head out from the room and vanished without waiting for a reply. she didn’t want to disturb arnav ji, he’d said he had lots of work. beside, there was very little time left. she wanted to meet rehana ji, then go with kanumoni ji to take a look at the riverside festivities. the bihu celebrations would continue today. pity, there was no time to wear her mekhela. and kanumoni ji had told her she’d take her to a weaver’s house nearby to pick up a mekhela for jiji and di and some colourful jhapis for everyone. she had also seen a lovely brass paandaan last evening, she wanted to get one for nani ji but that might have to wait till her next trip, since all the shops were closed today. “rehana ji, thank you so much, humne kitna achha samay guzara aap sab ke saath… aap yaad aayengi bahut!” khushi smiled at rehana and gave her a plate piled high with jalebis. “oh khushi, my dear, i’ll miss you too, but you will come again, won’t you. and tell you what, next time i’m in delhi, we’ll go and play a round of golf at the delhi golf club! okay?! you’ll love it!” rehana beamed at the girl in a pale blue churidar kurta. she wondered if khushi ever wore anything without sparkles and baubles and pompoms. salman could see a little panic cloud his friend’s open gaze. “oh, mummy, kk will take you sightseeing to chandni chowk when you come to delhi… teach her golf when she’s here next!” he cut in, putting his arm around his mother’s shoulders and giving her a little hug. rehana looked at her bewildered. what had come over khushi today? she picked up a jalebi and started eating it. later at the river side, kanumoni and khushi spent a few minutes watching the buffalo fight, which was part of the bihu functions. the two gigantic buffaloes, black and powerful, locked horns and battled. both the girls squealed and shut their eyes, but the lure of the fight and the sheer energy of the creatures called. khushi peeped from behind her fingers. for some reason, she thought of laad governor. he hadn’t even looked at her when she’d left. after they had tried all the different pithas and other sweets, they went to the weavers. “take out all the correspondence with shima, aman, and find out if they are doing business with any other fashion house in the country!” there was an unmistakably combative note in asr’s voice. aman was alert instantly. what had happened? why was asr asking him to look for details of shima’s business interests in india? but he was too smart to ask any questions, instead, his fingers were already reaching for his key pad… he’d need to talk to someone from blackhorn about it, this sort of information was not easy to unearth. “call me back in an hour and give me a full report,” asr said in clipped tones and disconnected the phone. aman stared at his phone. one hour? khushi chose a mooga mekhela with large red motifs for payal. jiji would look so pretty in it, she mused. and jija ji would love that. akash ji was such a nice man, she pondered, her brow furrowing, yes, he was indeed really really nice. not like his cousin at all. then she smiled to herself. “call me sir!” he had told her when they had met. and now? now he was all, “tum mujhe abhi kiss karo.” she was about to laugh at that when her mercurial mind seized an onslaught of embarrassment. haw! how could she think like that. that too here. while buying mekhela and jhapi and in front of kanumoni ji and the sweet lady who had agreed to open her shop for her on bihu day. “kitni besharam hai tu, khushi!” she muttered under her breath and rapped her temple sharply. “baideo! are you okay?” kanumoni asked, worried. then she started looking at the mekhelas again, which one would look nice on di? khushi came back with her shopping and went to their room. she had to pack quickly, they had to have lunch and then leave. she wanted to show arnav ji the mekhelas, so she went out to the verandah looking for him. he was sitting in front of his laptop as she had known he would be. she looked at his bent head, that stillness about him, and a rush of tenderness came over her. he worked so hard, he cared so much. for everyone. he never asked for anything for himself. no, not really. maybe a kiss… she blushed. she walked up to him from behind and put her hands on his shoulders. she felt him start. but he stayed as he was, he didn’t turn around. khushi frowned. something was wrong. she didn’t know what, but she knew something was terribly wrong. before she could reach down and pull him close, he moved without warning. he whipped around and buried his face against her, his arms went around her waist, he gripped her tightly. khushi’s eyes widened. arnav ji! what had happened? her fingers curled around his hair, pressing him against her. her eyes fell on the floor, there were yards and yards of mooga lying in front of him… on the floor, on the table, on the chair opposite. it looked like he had opened out an entire bale and let it flow all over, everywhere. khushi started stroking his hair. “what’s the matter, arnav ji? aap theek toh hain na?” she whispered, letting her hands reach down and rub his back. his shoulders were tense, his back rigid. she felt him lift his head, she looked down at him and felt her breath catch. the whites of his eyes were streaked with red, his irises had gone dark and expressionless. “shima canceled the order,” he said without wasting any words. “kya? how can they do that?” khushi reacted sharply. a ball of anger seemed to shoot out of nowhere and lodge itself in her head. “no, arnav ji, they can’t do this to you… you’ve done so much work and everyone here thinks you will come and sell what they make… and…” she struggled with her emotions. “shh! sh! just hold me, khushi… please,” asr said interrupting her. khushi caught something in his voice. a note of intense sadness. of loss. she reached out tentatively and touched his cheek. the stubble scratched her skin lightly. “arnav ji?” she said looking at him intently. as he said the words, it came again… a soft brush of a pallu on his face, a mere hint of a scent he had known always… maa liked mooga. or moonga silk as everyone called it in lucknow, in delhi… those days. moonga means gold, his mother would say. khushi stared at him lost for words, aching for him. she reached back and picked his hand up and brought it to her cheek. she rocked him slowly, and waited for some answer to come. “hey devi maiyya, help arnav ji… show him the way… no, us… show us the way out of this terrible feeling… unki amma… ” a little sob rise in her, which she quickly stifled. the plane began its ascent into the wide clear sky. the blue stretched calm and serene for as far as you could see, below green undulating earth with row upon row of tea bushes began to grow distant. strong sunlight poured into the cabin falling across their faces. there was a warmth in the winter sun, a comfort. khushi held asr’s hand tight, her stomach was emptying out as it always did during these times. captain raina had said there may be thunder and showers ahead. arnav ji had not spoken much at all. khushi wished she could do something to make him feel a little better. and also the thought that the mooga project was over, that they’d never come to assam again, not meet helena or kanumoni or the others, all of it felt terribly sad. she felt him move sharply next to her. she looked down at her fingers which by now were wriggling nervously. a warm… no, very hot… breath fell on the side of her nose. khushi closed her eyes waiting for his wrath. “moonga… tum bhi moonga kehti ho,” there seemed to be a question in the statement and almost a caress. khushi opened her eyes and turned to look at him. he was watching her, and yes, there was an almost gentle look in his eyes. the sunlight made his irises translucent, khushi stared into them dumbfounded. what if she drowned in them right now? her irises widened at the thought. a light touch on her cheek made her start. arnav ji had just brushed her cheek with tender fingers. “huh? moonga?” khushi was feeling particularly foolish at the moment. what had she said? why was he looking so… so… sweetly… really, just like, just like jaebi…. yes! like that… at her. “tum pagal ho!” asr smiled, his teeth flashing for an instant, crow’s feet at the corner of his eyes, his arched eyebrows going up. khushi stared as she felt her stomach empty out again. but the plane was not going up again, maybe there had been thunder and lightning… she shook her head slightly. “haan! haan! woh toh hum hain hi! amma bhi kehti hain… jiji bhi… bua ji bhi! hum koshish karte hain yeh sanak ko samhalne ki… par…” khushi mumbled confusedly. “don’t you dare!” he cut in sharply even as he bent closer and pulled her to him. “nahin??? nahin… dare?” khushi was almost incoherent now. 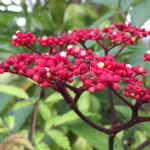 there were things scampering about in her empty stomach now, also goosebumps running up ad down her shin… all this activity was making her dizzy. she felt his finger under her chin, he lifted her face and gave her a quick kiss on her startled lips. “no! pagal tumhe suit karta hai… aur stoopid bhi!” he said coolly and turned away, let her go, settling back in his seat. she glared at him just as he began to laugh. his whole body was shaking, his shoulders heaved, he guffawed without even turning to look at her once. khushi felt something pound in her heart. she forgot her ire. arnav ji was laughing… he was not sad any longer. whatever it was that had brought it about, it was okay. and anyway, she was not stupid, maybe she was sanka devi… but not stupid… let him say it. he just wanted to pull her leg maybe. khushi looked at him not quite understanding what he meant and again feeling her stomach emptying out. “pata hai, arnav ji, sabko taufe bahut pasand aaye! hum kitne khush hain… nani ji wore the jhapi and nanhe ji took a selfie with her… and really, nanhe ji looked very smart in his jhapi… aur mami ji ko toh moonga bahut pasand aya, woh keh rahi thi dhalamal ji ke yahan jaayengi aur latestwa deisgns gold jewellery kharidengi, hello hi bye bye… ” khushi giggled as she recalled her aunt in law’s glee upon seeing the golden hued fabric. “bua ji bhi khushi thi… aur jiji…” khushi spoke in a rush of happy words as she changed into her night clothes… a plain white salwar kurta with red edging. she had just opened her plait and combed her hair, her waist length auburn tresses swung loosely. though she had loved assam, it felt good to be back home. “khushi! come here!” asr called out from the poolside. when she stepped out, he reached out from the deckchair where he was lounging and pulled her onto his lap. khushi loved it when he did that. she threw her arms around his neck and snuggled close, settling into his arms. her ears knew what they’d hear… the quiet thudding of his heart and the gentle murmur of the pool a little to the left. perhaps the rustle of leaves too… and the scent of the roses might waft about. was there a moon up over their heads? khushi tried to peek. asr held her tighter, not letting her move. “hmm?” khushi smiled and rubbed her face against his tee shirt. it was soft, she could feel his taut chest just below it. and his heartbeat was beginning to keep pace with hers. “you were right!” he said, catching her left hand and bringing it to his lips. the single light at the poolside shone on her blood red ruby ring. khushi stared bemused. she was right? about what? “about new year…” he seemed to read her thoughts. “it was her birthday,” he murmured running his fingers through her open hair. he sat up suddenly holding her in his arms. “i’m going ahead with the mooga project. shima doesn’t want it… koi faraq nahin padta! we’ll find a market, a buyer, many buyers… i don’t care. mooga is on,” there was a lightness in his voice. he sounded carefree… happy. khushi felt a wild surge of something in her. she turned and pushed him till he was lying back on the chair again. then she reached up and kissed him on his chin. the stubble tickled her lips as usual. she reached higher and kissed him on the tip of his sharp straight nose. he’d been taken by surprise for a moment but now his hands were on her hips, squarely settling down, taking charge, demanding things. “happy new year, mr arnav singh..” khushi said drawing away for a moment. “raizada, not jo bhi hain aap!” he chuckled, his fingers beginning to pull the drawstrings of her pyjamas. “and now… shut up, khushi,” he said, beginning to kiss her thoroughly. they make me feel they make me crazy they do for me things of the finest kind, so much faraq padta hai dammit. many many many apologies for this long gap and supremely delayed update. i couldn’t manage time, very sorry. thank you for reading never on a new year. i hope you had fun. this is the last chapter. i will add an epilogue next week… yes, this time, next week means just that. i hope some day soon, again the bug to write about asr khushi bites me again, and i am back, hopefully making you happy and not taking forever to update. without a reader, a story really doesn’t get told. thank you so so much. glad you enjoyed. 🙂 thanks for reading. hi ranogill, good to see you. thanks so much. WOW ! No words to express how happy I am. thanks so much for such a beautiful story. Of all the the Arnav and Khushi stories I read ( and I read them a lot) I love your Arnav and Khushi the most. rati, thanks for that lovely lovely comment. i am grinning and feeling happy as h. so glad you read and liked the story. Plzzzzz start new ff also …. thank you, tanu… it’s always such fun to tell asr khushi stories… if something comes along, shall definitely write. happy you read. see you. thanks so much, archana… so glad you liked the story… india is so vastly diverse and rich, so happy you enjoyed the glimpse of assam here. it’s just a little look at another world, there’s a huge deep culture there, with its own diversity. i love dreamers, maybe that’s why khushi is so very precious as you say. 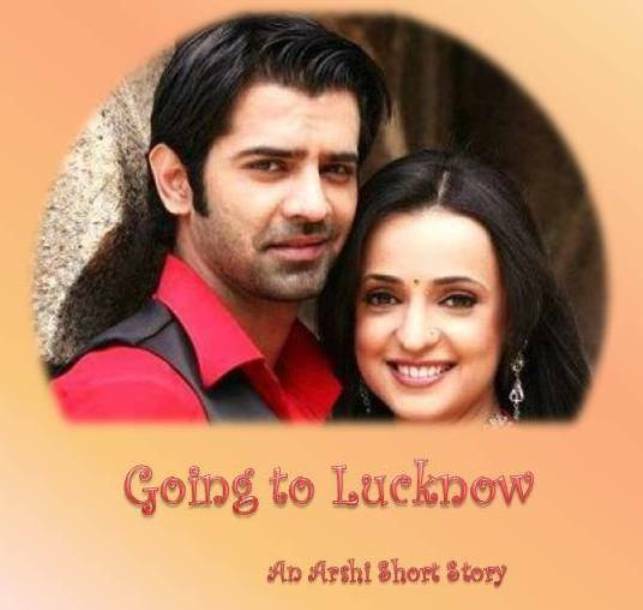 glad you read and enjoyed this story of asr and khushi. thanks, angeldream, lovely to see you here. Lovely Place Indi di . Sorry I am not so regular anywhere,but definitely will try to visit. Lovely Story ,I read till now and my the most favourite things are the surroundings, clothes, people , chadars, packwan, Asaam, scenery and of course ArHi. Just Love it.Their another pyar makes it more delectable. hi mehr, lovely to see you and please don’t apologise. glad you enjoyed the story and it’s assamese touch. yeah, that “another pyaar”… gorgeous, isn’t it. hope all well. take care. kiran, thank you so so much. i wouldn’t have as much fun writing if not for generous readers like you. if another story does come along, will certainly pm you. glad you enjoyed asr and khushi, i keep wondering if i get the essence, then i read a comment like yours ad it all feels great. thank you. see you. Nahi, nahi Indi… You dont have to apologize for the delay. Just dont do it again! Laughing. Missed you! Missed your Arnav and Khushi even more. Are they falling more in love as the time is passing? That is how it is supposed to be, but it is still lovely to see. And I love how she still gives as good as she gets when riled. Of course you have given ‘jo phi hain aap’ unfair advantage. He scrambles her wits with very little effort. Sigh! What bliss! Love this chemistry. Shayad ke tere dil main utar jaaye meri baat! Keep writing… I want to read more. Laughing! Shayad ke tere dil main utar jaaye meri baat. my dear sam, i have missed you. maybe just so that i may see you again, i’ll have to come up with a story of these two strange kya naam doon pyaar ko people. as for giving “jo bhi hain aap” any advantage, fair or otherwise, you do know that he writes his own muqaddar and makes his own kismat and how dare anyone think they can give him any advantage, he just takes it, bas. asr and take advantage in same sentence, indi needs dr freud. lovely to see you. that thing you say about them falling more in love, made me pause. 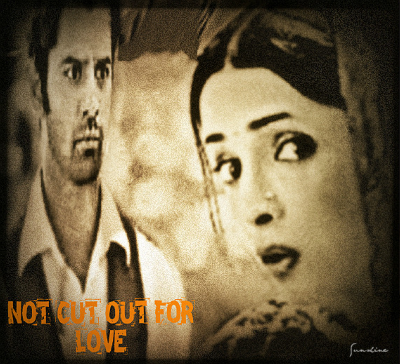 yeah… there has to be movement in that emotion, it must keep gathering depth, nuance, becoming more and more asr khushi. specifically. not just any pyaar but iss pyaar hmmm. thanks for saying i have a gift. 🙂 enjoyed that. you are good for me, samjhi tum. will do the epilogue soon, see you then. Arre wah! What is it that our One True Love said? ‘Achcha hi hua keh main gaya… pata to chala keh mujhe kitna miss kiya jaata hai’…(Kitni pyari baatein karta hai na?) I will take any story that you write for these two with deepest gratitude. Laughing. Desperate much, huh? I shall wait for the Epilogue and send you compliments on finishing a fabulous story. awww… and why are you reminding me of that one who has gaya-ed and shows no signs of returning? now i must sit down to a good cry. teehee. see you soon. and if any story comes along, i shall certainly get to the key pad instantly. What do you do with them!! Because they just seem so natural and real to me. I will never pronounce it as Mooga anymore. Moonga it is dammit!! And I am so happy that he has decided to go ahead with it. He has, unknowingly, helped a Kanumoni and even a Helana. He has kept Khushi’s hopes alive of feeding jalebis to her dear elephant again or even attending the complete Bihu festival in the future. I wonder if mamiji would be equally fond of Helena and feed her with some of her dietary supplements. Although Shima did not stay true to her word, I am glad she was there, for she gave us this unforgettable visit to Assam. Yet waiting for the epilogue. i kept smiling as i read that. thank you so much. and now i am wondering about that scene where mami ji offers one of her supplementiya to helena… hello hi bye bye the pachyderm might mutter under her breath. will land up with epilogue soon. i am almost sad it’s over too… thanks so much for reading with such enthusiasm. see you soon. hi, kiran… okay, promise i’ll be here with it soon. it was such a beautiful update! There was a huge smile on my face while reading. I can’t say in words how much I enjoy your Arnav and Khushi! Arnav was sad for losing the project, but no one can be sad for a long time whose wife is Khushi. Khushi is like an anti depression drug for him. She is eccentric and childish but understands her husband so well! By the way, Khushi and Helena’s camaraderie was so fun to read. aww… sohara, lovely to see you as always. and thrilled to read you “can’t say in words” how much you enjoy “my” asr and khushi. sigh, my asr and khushi. yeah, she and he have this vibe, this connection which is deep, mystical even maybe, totally gripping, and absolutely electric and fun. a whizz in it. that’s what i love. isn’t helena cute? i have a special love for large beings. hehhe, me rah-ther large to, samjhi tum! thanks for all you say. see you soon. hi kiran… 🙂 sorry. i know i should be updating, suddenly a spate of work, but will try my best to do the epilogue this coming weekend. see you. Much delighted to read this update. But so sorry to have it ending soon. But I know You are there with more sweet stories. thank you, anna. to tell you the truth, i feel a little sad too that the story ended. maybe a nice idea will come by soon and we can start the madness all over again… thanks so much for reading. thanks, yoga… glad you enjoyed.